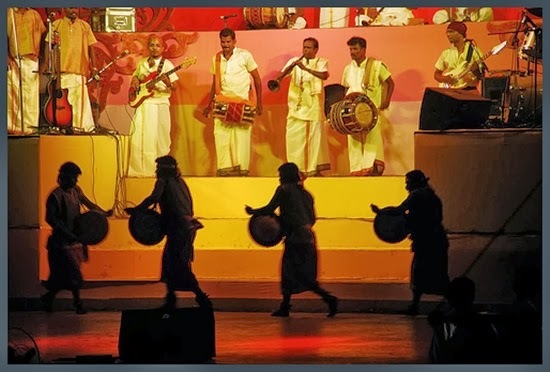 Tamil Folk Music: Photo Credit: Flickr under creative commons license. It becomes clear that the Dravidian represent lineally an offshoot from the great parent stock which left the fatherland long before Sanskrit was grown into vigor and about the same period that the Teutonic wave flowed northwards into Europe. Their grammatical forms follow the same rule. Dravidian languages Tamil and Telugu possess at the present day the complete verb, which has left such traces in our language as, are art and were. This most interesting discovery impels us to ask a host of questions of the stranger If the Dravidian are such near cousins we wish to know how they think with regard to morality to religion to domestic life. Are they fit for the high privilege we cannot deny them? We have been looking round for the best means of answering such queries. Fortunately, they are reminded of the old saying that their proverbs and folk songs are the best evidences of the inner life and imagination of peoples.